“A normal reaction to a very abnormal situation.” My psychologist spoke those words to me so often in the months following my sister’s murder. Choosing to seek the help of psychologist was one of the most important decisions I made. I discussed so many emotions and feelings with her. Emotions and feelings I would have most likely kept bottled up inside had I not made that first appointment with her. Of all the issues I discussed with her, trust seemed to be the most difficult. I remember my first appointment. She was soft spoken, gentle, she put me at ease. She was gaining my trust. I suppose, given the circumstances, she of all people knew it was probably difficult for me to trust. 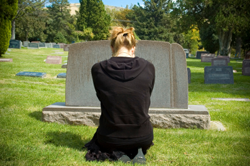 Shortly after my sister’s death, I became withdrawn. I was once again afraid of the dark, something that hadn’t bothered me since I was a child. I realized my fear of the dark represented my fear of the unknown. I still sleep with lights on. I also actively fought agoraphobia. I didn’t want to leave my home. If someone could enter my sister’s home and brutally stab her to death, what was to stop some one from hurting me? I had made my home as safe as I could. The doors remained locked, windows closed. I didn’t answer the door if someone knocked. Years before, I had been trained to use a weapon. I felt safe handling a weapon and kept one close by at all times. I felt safe in my home. My psychologist helped me understand that someone walking up to me in the middle of Walmart and trying to hurt me was very unlikely. I had exaggerated the thought in my mind. Slowly, ever so slowly, I began to go out. A trip to the post office, a trip to the grocery store, a walk around the block all seem like such simple things, but for me, at that time, they were huge steps. Three days after my sister’s death, I spoke to detectives. I remember the interview. I remember the end of the interview. The detective took my hand to shake it, held onto my hand and looked me in the eye and told me my sister’s case would not go cold. He would find the murderer. I trusted him. Looking me in the eye and telling me what he did earned my trust. Six months later, the same detective called me to tell me an arrest had been made. Trusting doesn’t come easy for me. I moved back to my home state seven months after my sister’s death. I wanted and needed to be closer to my family. I moved into my home, alone. Well, not totally alone. I had rescued a little dog, a little barky dog, my built-in alarm system. I made my new home safe too. I kept to myself though. I didn’t talk to my neighbors, other than a nod of the head and brief hello. My job had transferred me when I moved. I went to work, but I didn’t get close to anyone there, not physically or emotionally. I also realized my personal space, the space around me that is my space and no one else is invited in, grew larger. I wanted to keep people at a arm’s length so speak. Actually it was longer than a arm’s length. After the arrest was made and the accused plead not guilty, we were assigned a deputy prosecutor to try my sister’s case. I spoke with him a few times. I let my guard down, I trusted him. Three months ago, in December, I learned the prosecutor had been fired. Fired for not doing his job correctly. I was angry. Not only angry at the prosecutor, but angry at myself for trusting him. We now have a new prosecutor. I want to trust her. However, she is going to have to work hard to earn my trust. Moving also meant finding a new doctor, a new dentist, a new psychologist. I asked around at work about a doctor and dentist. I didn’t ask about a psychologist. Wouldn’t my co workers think I was crazy or something for needing a psychologist? I made an appointment to see a doctor. Of course, she’s female; it seems like I can only trust women for now. The doctor is okay. I have developed a trust for her. I also found a dentist, again a female. I made and cancelled two appointments. After all, a dentist violates my personal space. I wasn’t sure I could let anyone, man or woman, get that close to me, physically. I did eventually make another appointment and I didn’t cancel. I sat in that dentist chair, nervous, anxious and close to tears. When the dentist came into the room, we chatted for a minute or so. When she started to examine my teeth, tears started streaming down my face. She stopped and asked if she was hurting me. I shook my head no. She backed away, handed me a few Kleenex and said she’d give me a few minutes. She sat there in silence, as if she was waiting for me to speak. I finally did speak. I told her about my sister’s death and how it has affected me. I told her keeping this appointment was a huge step for me. She smiled, a gentle smile and said, “I’m glad you chose me to take this step with.” I relaxed. She seemed to understand. She proceeded with the exam, pausing at times to back away, to give me space. I so appreciated that gesture. Since my sister’s death, I have and continue to experience the journey of grief. I feel the sadness, the anger, the emptiness. Since my sister’s death was a homicide, I’ve realized that the man who brutally stabbed my sister to death not only took my sister, he took so much more. I often wonder, will I ever truly feel peace of mind again? Will I ever truly feel safe in my surroundings? Will I ever look at the world and see more good than bad? Will I ever have the ability to trust again, like I once did? Although, I honestly feel like the answer to all four of those questions is ‘no’, I am not ready to give up yet. I do my grief work. I try very hard to do my complicated grief work. I’ve learned that literally, in an instant, life can change. And that instant, it seems, will be a constant in my life until I too, take my last breath.